Hi, cookie lovers! 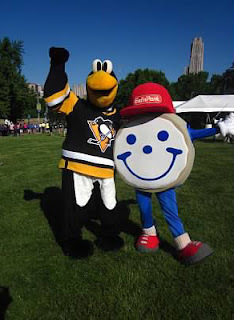 Last weekend, Team Smiley showed their support at the Autism Speaks Walk in Schenley Park, where hundreds of families came to walk, support, and eat cookies. From attending this event, we learned that Autism affects 1 in 68 children. 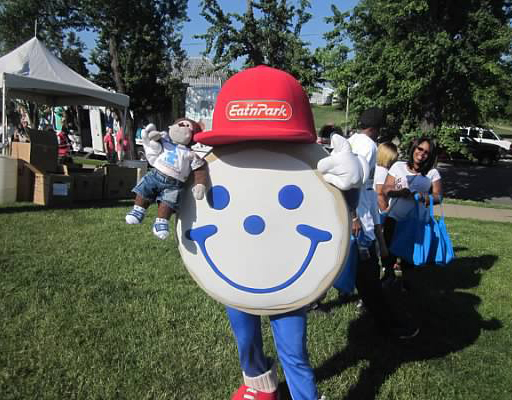 Smiley was excited to meet all of the children and their families, and to help spread awareness for the cause. One family even asked Smiley to hang out with their own team mascot, a toy monkey! At the event, Smiley also got the chance to hang out with a few other local mascots including Iceberg and the Pittsburgh Pirates parrot. They had a great time dancing with the participants and showing off their latest dance moves! It was heartwarming to see people at the event with big smiles on their faces. We cannot wait to go back to this super fun and welcoming event! 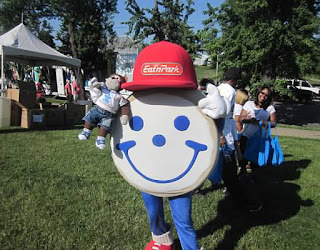 Click here to see where Smiley and the team will be heading next! Meet Our 2016 Team Smiley! Smile for New Smiley Merchandise!